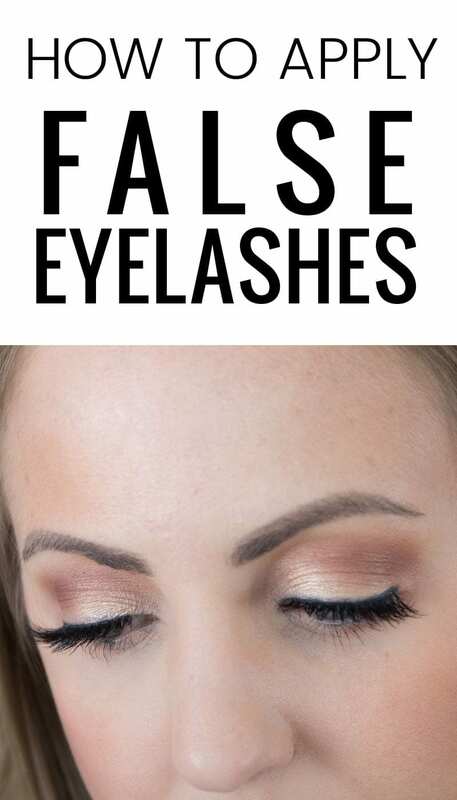 Lately, I’ve had a lot of people (including friends and family) ask me how to apply false eyelashes. Falsies instantly glam up your look, and they really are a breeze to apply. I know it can be intimidating to glue something to your lash line, but I promise it’s easy! I made a video going over some of my best tips for applying false eyelashes, and then I apply some on camera. Now that I’ve got a lot of practice under my belt, I can apply them in about 2 minutes! Watch below! Be sure to check out the entire Beauty section before you go! I totally need this! I have been wanting to do them more but, haven’t had the greatest experience! Thanks! Do you apply mascara to the false lashes? I see you put it on your natural lashes. You can certainly apply mascara after you’ve applied the falsies so that they are blended and combined, but I feel like it diminishes the longevity of the falsies. I’d like to be able to re-use my lashes as much as possible, so that’s why I apply mascara before falsies! Love the Tips! I had a friend help me with lashes last summer and have wanted to start using them more……. Thanks so much! you didnt say where exactly you place the lashes. is it on your eyelid? On the lid, close to your lash line! Sorry, thought that was clear when I was I was demonstrating it! first. I love the new website. Second, I’m obsessed with the new site. and third, I think you’re pretty! Love it! They look so pretty, How long will they stay on? So if I practice the night before, will they still be on for an event the next night? I wear mine for an entire day! I always take them off at the end of the night. You’ve got this!! I totally enjoyed your video; it was very helpful. I recently bought some false eyelashes because I am over 60 years old and my eyelashes have thinned out since I went through menopause. I still wear make up and I still look good and I don’t look 60 years old! I commented the other day about how good my daughters eyelashes looked; and she said, mom these are false eyelashes! So I decided to get me some and your video was helpful so I’m going to start practicing !